Now that the fairweather deciduous trees and shrubs have dropped their leaves and gone into hiding for the winter, the steadfast and stalwart evergreens march to the forefront. If I were to guess, and I’m guessing, I would figure two-thirds of the garden’s trees and shrubs to be deciduous, with the remainder evergreens, both conifers and broadleafs, tall and squat, blue, yellow, and with a variety of shades of green. Now that the deciduous leaves have been windblown across the lawn, and swept into knee deep piles beneath the viburnums, the garden is quite open. For a few months it is possible to see from one corner of the garden to the other, and thank goodness for the hollies and cypresses, spruces, cryptomerias, and tall Alaskan and Atlas cedars. Without leaves to hinder the view, brightly colored berries, the red stems of the Coral Bark Japanese maple, and blue and yellow conifers are more conspicuous through the winter months. The yellow cypresses (hinoki, cripsii, fernspray, threadbranch, and Golden Showers Lawson cypress) grow more luminous as the winter progresses (when heat and humidity are less stressful), and steely blue spruces stand out against the gray winter sky. 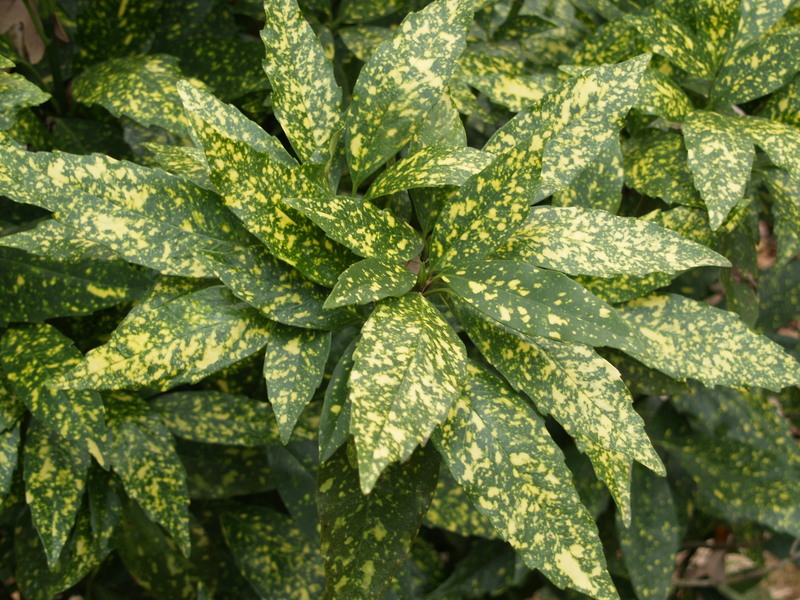 Evergreen shrubs such as variegated aucubas (Aucuba japonica ‘Variegata’, below), with brightly speckled foliage, azaleas and camellias with delightful blooms, and nandinas and mahonias with flowers and berries are not so large, but are interesting through much of the year. Lower growing evergreens such as sweetbox (Sarcococca hookeriana var. humilis), plum yew (Cephalotaxus harringtonia ‘Prostrata’), ivies, and periwinkle carpet the open spaces, often occupying the ground beneath flowering trees and Japanese maples. Even the greens of hollies and pines are more apparent in the more barren winter landscape. The garden surrounding the Golden Weeping English yew (Taxus baccata ‘Dovastoniana aurea pendula’, below) has grown more shaded over the years, and so its yellow spring growth is now only a lighter shade of green, but the towering yew is perched against the back corner of the house with long pendulous branches overhanging the stone path as if a mantis awaiting its prey. In April the twenty foot yew is partially obscured by a large ‘Burgundy Lace ‘ Japanese maple, but in January it commands attention, so much so that my wife is constantly hectoring me to cut the beast down to a more appropriate size for its proximity to the house. The branches bob in the winter breezes, and destroy the screens of windows twenty feet in either direction, but I prefer the “creature” as is, and thus far have been able to deflect demands to shorten its wingspan. 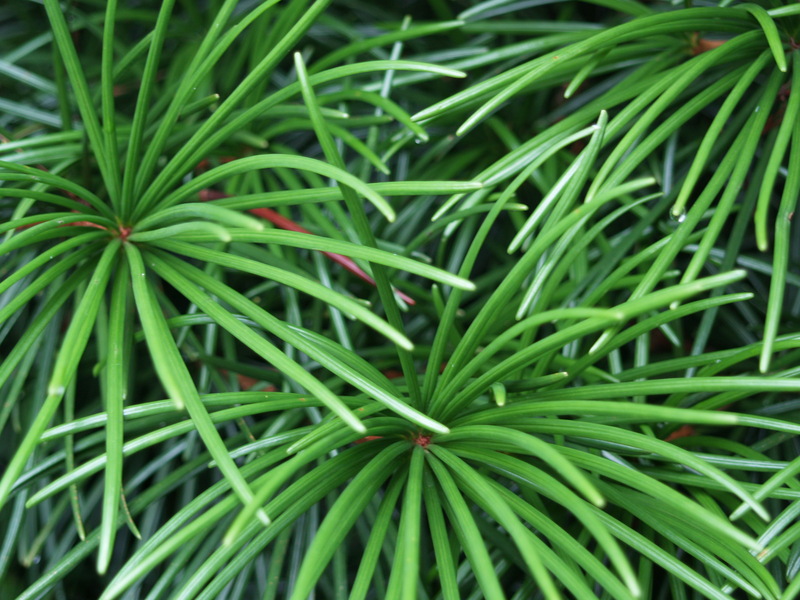 A Japanese Umbrella pine (Sciadopitys verticillata, below) lurks nearby, one of two in the garden, and it is, of course, not a pine at all. 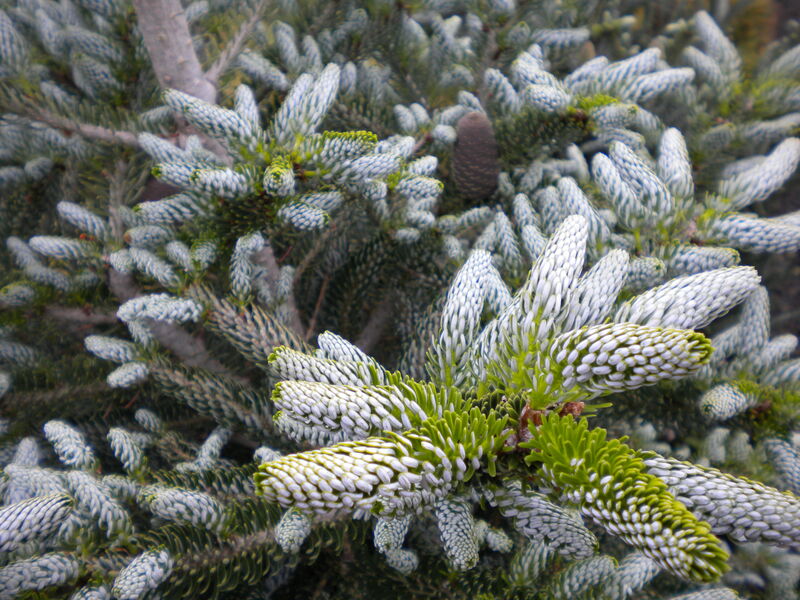 Umbrella pines are quite slow growing, though the two are now fifteen feet or taller, and of the darkest green, but with lush, succulent, decidedly unpine-like needles. These are favored plants in the garden, and in fact my wife will prune any branch from a neighboring nandina or deutzia that dares to stray to touch them. The heavy snow in the winter past broke a significant number of their soft wooded branches, and those that remained were bent downward a bit. I feared the Umbrella pines would be disfigured permanently, but months later the branches are barely missed, the bent branches hardly evident, and this was a considerable relief and greatly lessened our disappointment with the damaging snows. 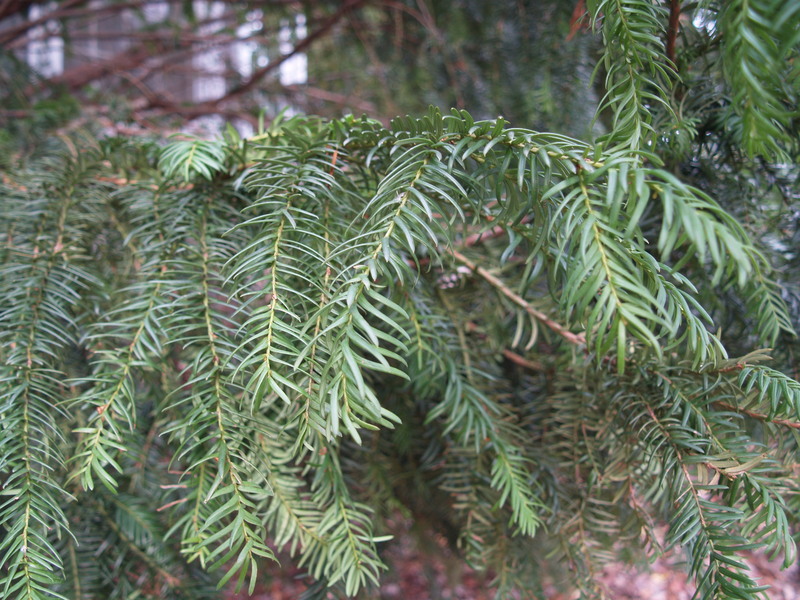 I was overjoyed when I surveyed the winter’s damage and found the venerable ‘Lewisi’ hemlock (Tsuga canadensis ‘Lewisi’, below) intact, though a weeping Norway spruce only a few paces away suffered considerably. The hemlock was an early introduction into the garden, and was well established before its transplant, so I have an affinity for this dwarf evergreen, one not shared by my wife and visitors who walk past without a notice. 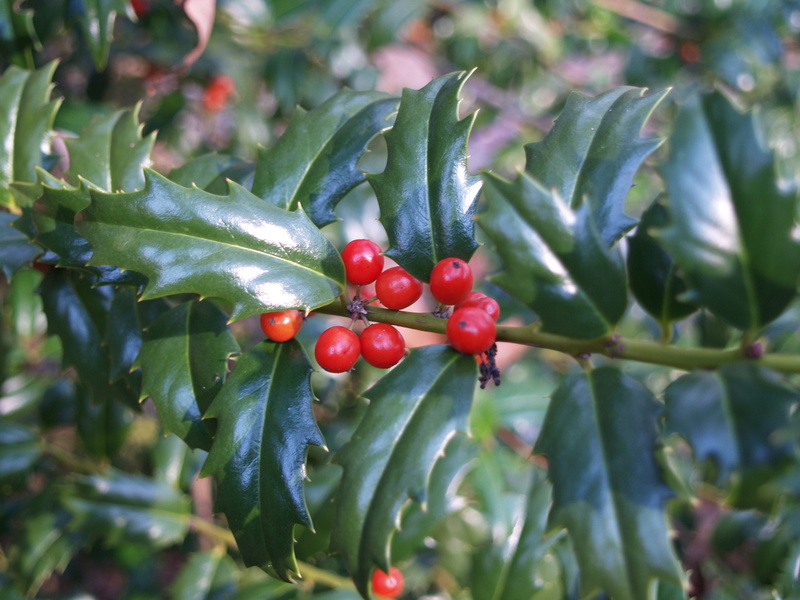 I have recently discussed the collection of hollies (a variety of Ilex natives and hybrids) in the garden, and though many would consider them excellent as a backdrop for showier plants, I continue to be enthused by their range of foliage shapes and colors and sturdy manner. The clusters of red berries are a bonus, and certainly are favored by birds that overwinter in the garden. There are many dozens of other treasured evergreens in the garden, many like the Lewisi hemlock that no one but the gardener will notice, and while dogwoods and Japanese maples, viburnums and perennials rest for the season I will appreciate more than usual the dark greens, bright yellows, and blues. Love reading your blog, as I pick up lots of great information about the plants you feature. But before I forget, while traveling, could you please locate some Italian “prune” plum trees for sale this spring? I want to set up an orchard to eventually make from them plum brandy, prune paste, and dried plums for Serbian fruit cakes. I live in the ‘Burg, so would appreciate a selection in nearby locations! THanks! Italian plums should be available from our fruit supplier. If you will contact the manager of your local garden center in early to mid March he should be able to specify any number that you would like for delivery later in the month. Enjoy your blog. 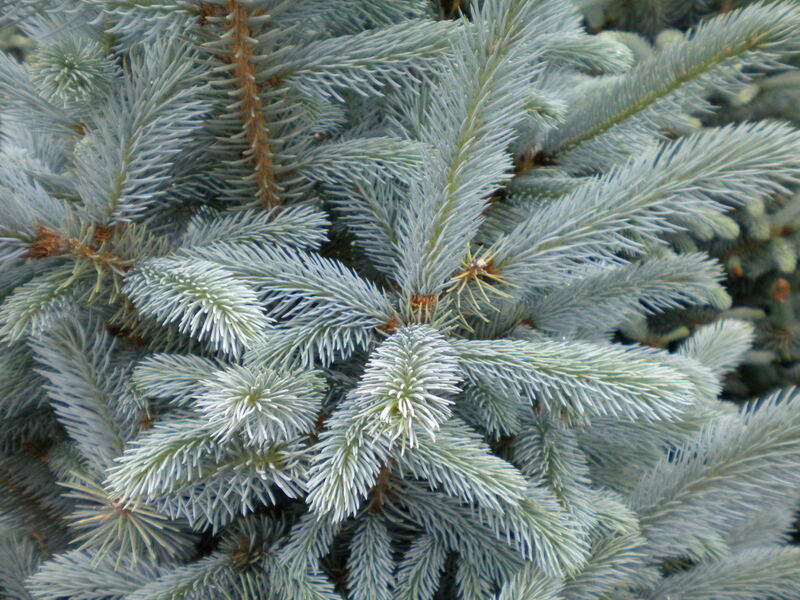 During the famous snow storm in Feb. 2009, we lost 11 evergreens. Most lined the property between the neighbor and ours. What would be your suggestion for replacement? 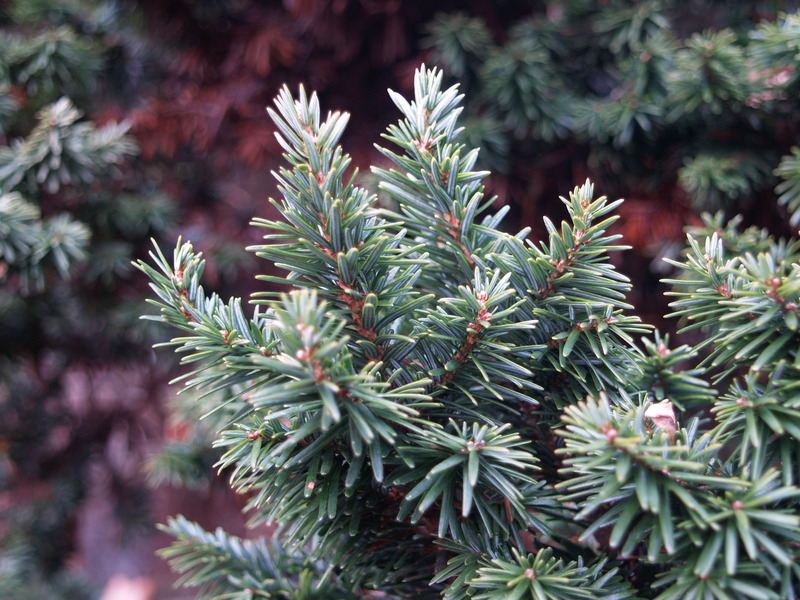 The evergreens in the mid-Atlantic region that suffered the most damage in the heavy snows last year were Leyland cypresses, but multi trunked types of arborvitae were also injured. Their branching structure encouraged snow to accumulate rather than fall off onto the ground. 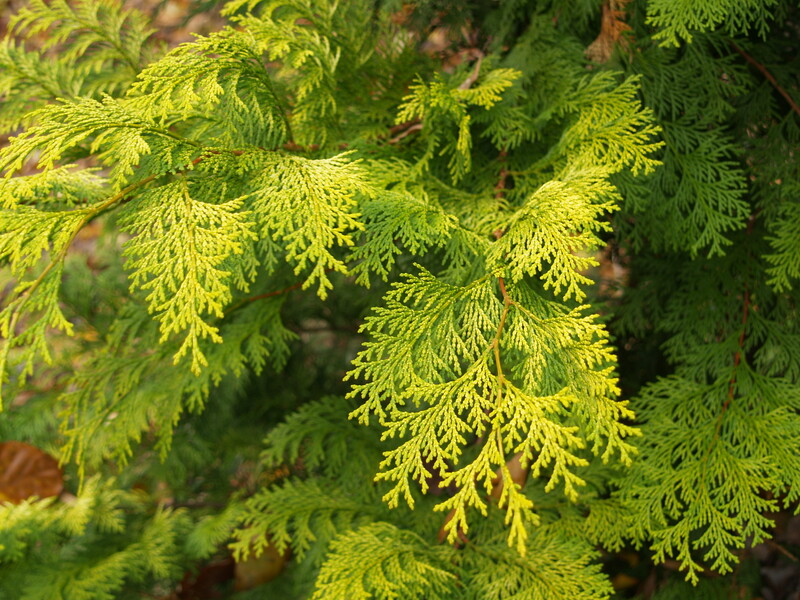 While arborvitae were splayed from the center, Leylands often broke or were toppled from the ground due to their weak roots. While it is likely to be safe to expect that we will not get similar record snowfall, there are evergreens less susceptible to damage. Many Leyland cypresses have been replaced by Green Giant arborvitae, also a fast grower, but with a strong central trunk and branches that give way to dump snow rather than allowing it to accumulate. In my garden tall Cryptomerias escaped with little damage, and though they are slower growing, they are ideal when a large evergreen is required. I believe that in many instances a large evergreen such as Leyland or Green Giant will grow too large for the property, and a holly such as Nellie Stevens that will grow to twenty feet tall rather than forty feet or more is better suited.